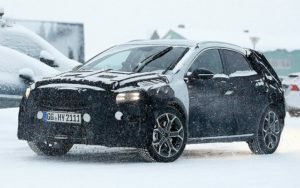 Kia’s all-new Niro crossover is ready to be introduced at the upcoming Chicago Auto Show in a few days, and the carmaker already works on the next big project. It is one more, but this time just updated crossover, which is rumored to arrive sometime this year as the 2017 Kia Soul. 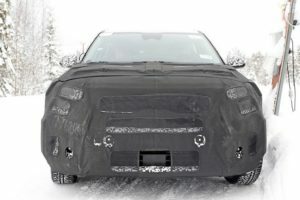 Judging by the first spy photos, the crossover seems to feature an all new “suit, meaning that the carmaker works on a huge and extensive mid-cycle refresh. The redesigned body may be completely camouflaged, but still, we can see most of the changes. The redesigned 2017 Kia Soul features a completely redesigned pair of headlights and an all-new front bumper. The fake air vents in the front fenders are missing this time, while the rear end feature new taillights and restyled bumper too. The car looks to have new and reshaped side mirrors, which are also notably larger. Inside, the 2017 Soul crossover will definitely get new trims and better materials, while the technology department should enrich the interior with a new UVO multimedia interface. The updated crossover is definitely getting some steering and suspension changes, but we are not so sure about what will happen under the hood. 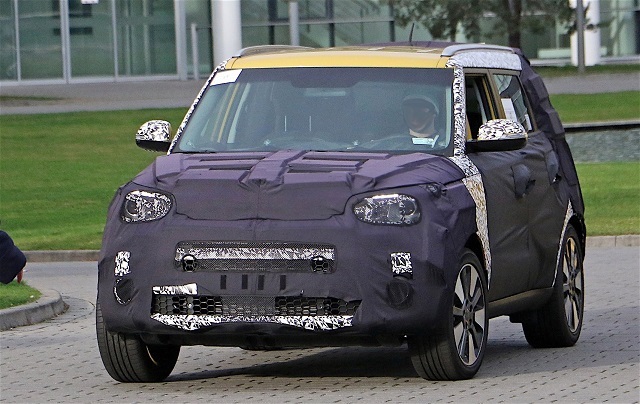 According to the latest information we have, the refreshed 2017 Kia Soul will probably offer an updated powertrain, or even a completely new engine. Kia’s second best-selling vehicle in the US should be offered with a 1.6L T-GDI turbo engine, as well as with a new Dual clutch transmission (DCT). The small SUV could be introduced with the all-wheel drive setup, pretty similar to the carmaker’s Trailster concept. The updated Kia Soul is rumored to arrive this summer, while the base price should stay unchanged.